Our co-op doesn’t sell seat-licensed software and we’re basically opposed to that concept, preferring co-operative development of free and open source software (FOSS). This is a site about software, not co-op development. I helped set up our co-op, but I don’t know enough to help many others. For co-op development, our co-op is a member of Somerset Co-operative Services and Co-operatives UK who can advise far better on that sort of thing and publish the damn fine Simply series of guides. 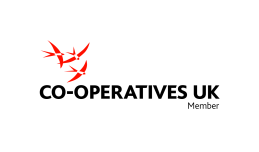 We refer enquiries about co-op development to them, Co-operative Assistance Network and the co-operative enterprise hub. Mentioning $ makes me think this is a US-based question, so National Co-op Business Association may be a better place to start. If it’s another dollar, the International Cooperative Alliance membership may show the right country. The legalities vary by country. Anyway, now the blog is back, I’ll write about software more soon. If you’ve got questions about software for co-ops, co-op-made software and that sort of thing, please leave them in a comment. This entry was posted in Cooperatives and tagged advice, co-op, cooperatives, cooperatives-uk, legalities, social enterprise, somerset. Bookmark the permalink.